Highlight‘s Son Dongwoon will make his official solo debut! Dongwoon will release his first mini album titled ‘Act 1 : The Orchestra‘. The album will be released on the 22nd of April at 6PM KST. Check out the album scheduler below. 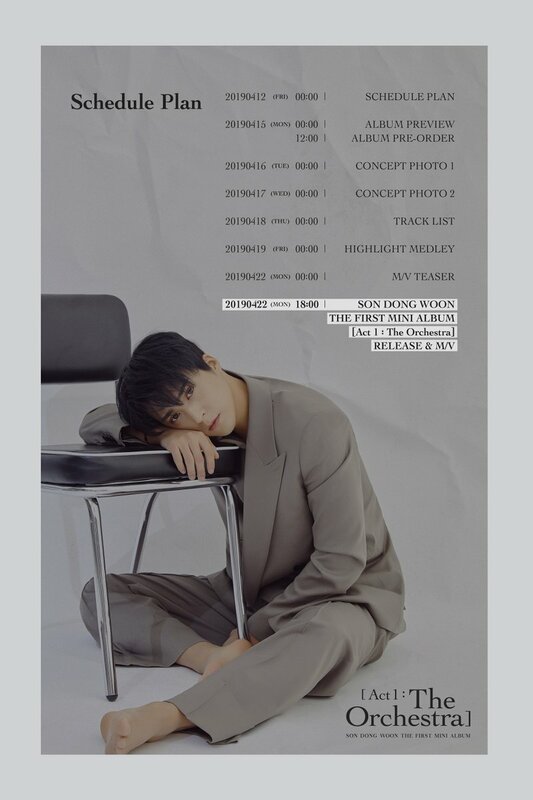 Dongwoon will release a variety of teasers before realising both the music video teaser and then the music video on the 22nd. In the image, Dongwoon sits on the ground as he stares into the camera. His gaze is quite intense which contrasts the soft colours of the wall. He is dressed quite casually showing off his natural handsomeness. Are you excited for Dongwoon‘s first mini album? Tell us in the comments below!